Blocking is the process of using steam or water on a knitted fabric and then pinning into shape. It gives knitting a smooth, professional finish. Blocking also presents the opportunity to adjust the fabric to the desired dimensions. I like to think of blocking in these terms: Would you want to wear a carefully pressed shirt or one that was rumpled in the dryer? Answer: There is nothing wrong with an unpressed shirt or unblocked knitted garment. However, an ironed shirt and a blocked knitted garment are infinitely more impressive. You spent countless hours knitting your work of art so take the extra time to give it the professional finish it deserves! As a bonus, blocking can smooth seams, adjust the size and erase irregularities. Watch this blocking demonstration and take your knitting to the next level. A central double decrease works three stitches together resulting in one stitch that lies vertical with no lean. This stitch is often used at the base of v-neck openings. A central double decrease is also found in many beautiful lace patterns. While there are several variations of this stitch, I have provided a video that demonstrates the option with the smoothest result. Charts are a simple way to convey knitting directions while providing the knitter a visual representation of the finished design. Charts are read from bottom to top moving right to left on right side rows and left to right on wrong side rows. It is important to note that a chart shows the stitches as they appear from the right side of the fabric. In a flat knitting chart, the symbols will stand for one stitch on the right side row and another on the wrong side row. A flat knitting chart will have the row numbers on both the left hand and right hand side of the chart. In circular knitting (in the round), all row numbers are on the right hand side of the chart. An added bonus to using charts in circular knitting is that the symbols don’t need to be reversed since the work is never turned. Confused? Let me walk you through chart reading step by step in this video. Reading both flat and circular knitting charts are demonstrated. 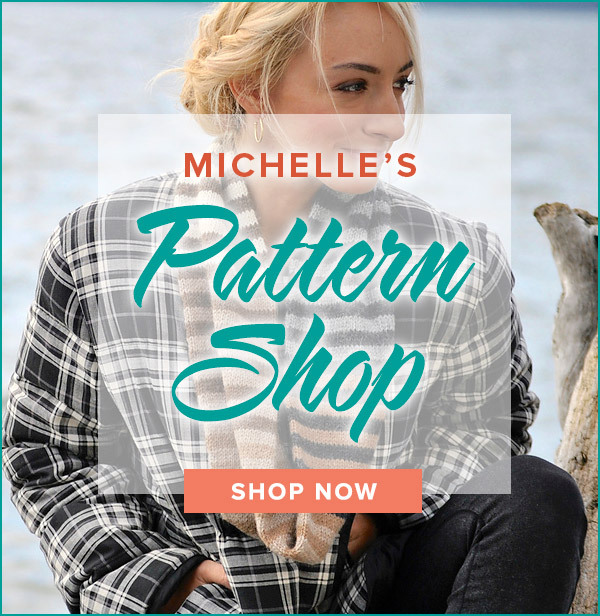 PSSO is the abbreviation for “pass slip stitch over”. It is a common decrease and can be found in many lace patterns. Using the left needle tip, simply lift a slip stitch on the right hand needle over the following stitch(es) and remove it from the needle. A decrease and a lovely design element have been created! Watch the following video to see several variations of the psso demonstrated. SLIP STITCH RULE: Unless otherwise stated, a stitch is slipped as if to purl with yarn in back. This action allows the slipped stitch to sit untwisted on the right hand needle with the working yarn hidden on the wrong side. Sometimes a designer will spell this rule out for you in their pattern. If there are no specific directions on how to slip a stitch, follow the above rule. Of course there are many other ways to slip a stitch – as if to knit, with yarn if front, etc. – and these are the “otherwise stated” exceptions. The following video demonstrates the basic slip stitch and several variations. Congratulations on finishing your knitting project! Now it is time to bind off your stitches and admire your handiwork. I recommend this standard bind off for beginners. It is quick and easy and works well in most situations. Many lifelong knitters use this bind off exclusively. 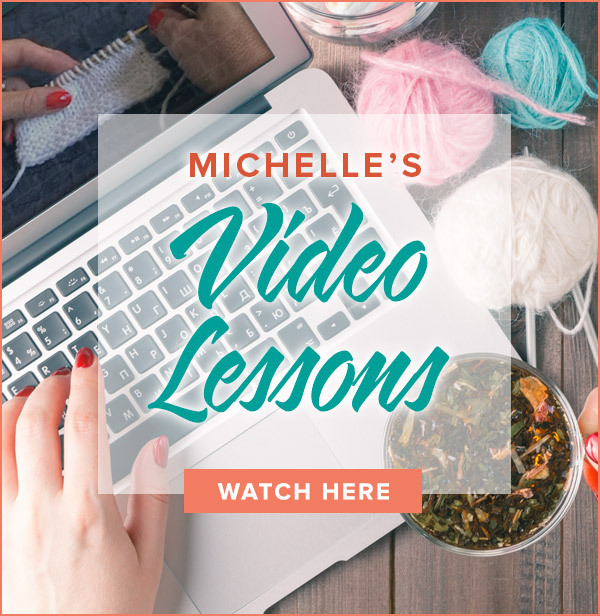 Of course, check out my other video lessons to explore more binding off options.